It is said that a passage of Scripture speaks to each person differently every single time one reads it, and in no case is it truer for me than with the account of the day of Pentecost in the second chapter of Acts. 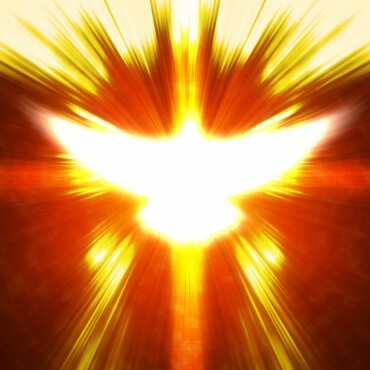 I have been re-thinking this entire “Holy Spirit” phenomenon ever since the events of mid-May at the John S. Knight Center in Akron, where I was elected Bishop of the Northeastern Ohio Synod of the Evangelical Lutheran Church in America. I have preached nearly a dozen Pentecost sermons on the effects of that sound like the “rush of a violent wind” that filled the entire house where the disciples were sitting. On Saturday, May 17, 2014, at around 11:30 a.m., I experienced it. While the ballroom thundered with applause, I sat, stunned, amazed, and astonished, trying to make sense of what had just happened. Instead of tongues of fire descending on my head, I felt more as if a lead cannonball had unleashed the full impact of its visceral force into the pit of my stomach. Those feelings, fortunately, are slowly receding into distant memory. But the reality of the task ahead looms large. As the disciples were given the ability to speak in other languages, I pray that the Spirit equips me with the ability to speak clearly to God’s people here in Northeastern Ohio. There is a new language to be learned, of sorts, my fluency in Spanish notwithstanding. I hear Peter’s sermon to the sneering crowd in a new light. Peter, the Easter miracle, who denied Jesus three times, now stands and faces a collection of cynics and cuts them to the heart with his powerful proclamation without fear or concern for his own safety and well-being. As a result of Peter’s message, three-thousand followers were added that day. I wonder what will be the effect of my preaching as I travel to the various congregations across the synod. The faithful that I serve at The Lutheran Church of the Covenant have experienced that rush of a violent wind as I have. Though they don’t express it in similar terms, they are perhaps as bewildered and amazed and astonished as I am. I ask your prayers for them as they unexpectedly begin the process of transition and calling a new pastor. Yes, violent winds are destructive. But they can also be a force for good. In my heart of hearts, from the force generated at the synod assembly, I hope – with the Spirit’s help – to build and develop new and fruitful relationships, to build bridges between the parishes and the synod office. To replace the sense of “us versus them” with a wholesome attitude of “we.” I stress the “we” because it can only be done together. Together we are much more effective than by individual effort. Send forth your Spirit and renew the face of the earth. ← BLAH, BLAH, BLAH, BLAH, BLAH. AMEN!